What if you could have a financial advisor and a firm that was actually dedicated to serving you first? Making sure that we help you to stay ahead of the latest financial developments, technology, and your fast-paced life. 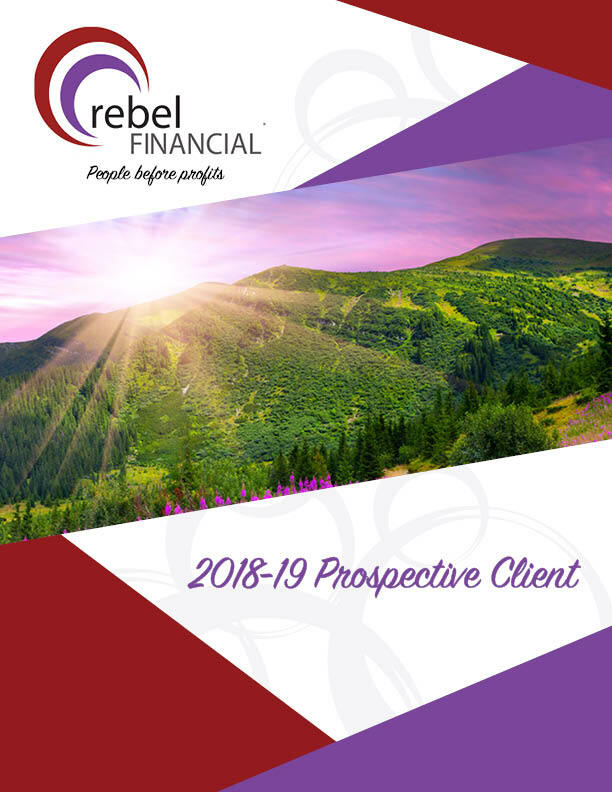 That’s why we started rebel Financial: to serve our select clients in a more personal way where we put you ahead of corporate and Wall Street interests. Read below to see how. We proudly serve the staff and faculty of Ohio’s universities, primarily at: The Ohio State University, Ohio University, and the University of Cincinnati. We help our clients to manage their university retirement accounts through strategic relationships that we have developed with Fidelity and TIAA CREF, and then help them to pull their entire financial planning picture together with our other advanced tools and resources. Read more to see if we can help you. Some of our best clients are small business owners, and we do some of our most rewarding work here because we are also a small business. Small business owners have some of the most integral planning needs and we can bring extraordinary value to our clients in this area. Read more to find out how we may be able to assist you. Our founder’s father and uncle are both Optometrists and some of our best clients are physicians or medical practices. We have an intricate knowledge of the challenges that doctors and physicians face and may be able to bring clarity to some of the important financial planning issues that are common in the health-care industry. Read on to find out how. Corporate executives have many complex benefits built into their benefits; more than most other professions. Unfortunately, we find that far too often that our executive clients do not completely understand and take full advantage of their benefits. Read more to see if we can help. We find that many attorneys are out busily working to help their clients solve their problems, but who is looking out for you? Practicing Law is a great profession and many of our best clients know a lot about estate law, financial planning, and investments. However, at the end of the day, many attorneys are so busy that they do not actually implement much of this acquired knowledge without a partner. That’s where we can help to make sure good plans are actually implemented. Read more. Imagine if you could look back 20yrs from now and give yourself advice. What would you say to yourself? What advice would you give? We have the tools to help you project the effects of your financial decisions so that you can make better decisions.